Increased global travel, climate change, and changes in lifestyle have contributed to the evolution of viruses endemic to tropical and sub-tropical global areas into world-traveling pathogens. And experts say the relatively recent emergence of Ebola virus, Nipah virus, Sin Nombre Hantavirus, SARS, Influenza viruses (H1N1, H7N9), and MERS viruses “clearly signify” the onset of many others in the near future. The World Health Organization (WHO) prophetically cautioned in 2007, prior to Dengue and Zika outbreaks, that, “It would be extremely naïve and complacent to assume that there will be no other disease like AIDS, Ebola, or SARS, sooner or later,” (World Health Annual Report 2007). Emergent and re-emergent pathogens have required the development of unique technologies to provide rapid identification of virus to identify and follow nascent outbreaks as well as guide treatment decisions. The relatively new field of metagenomics whereby investigators can inventory the complex microbial communities found in humans, domesticated animals, wildlife, plants, and various environments, has also enabled the wider application of these technologies. 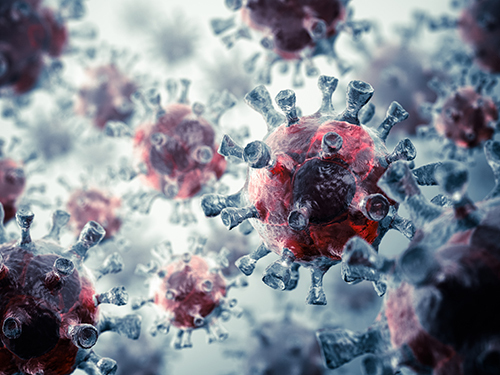 But as known and unknown pathogens create profound threats to public health, platforms for rapid detection and characterization of microbial agents are critically needed to prevent and respond to disease outbreaks. Existing detection technologies are based on nucleic acid amplification of sequences from one or a small set of organisms. While they are able to rapidly identify selected pathogens at the species or strain level, they cannot be multiplexed to the degree required to detect hundreds to thousands of different organisms. Microarray-based technology may hold a potential solution to these challenges by offering a rapid, affordable, and highly informative snapshot of microbial diversity in complex samples without the lengthy analysis and/or high cost associated with high-throughput sequencing.